What can we learn from different civilisations? 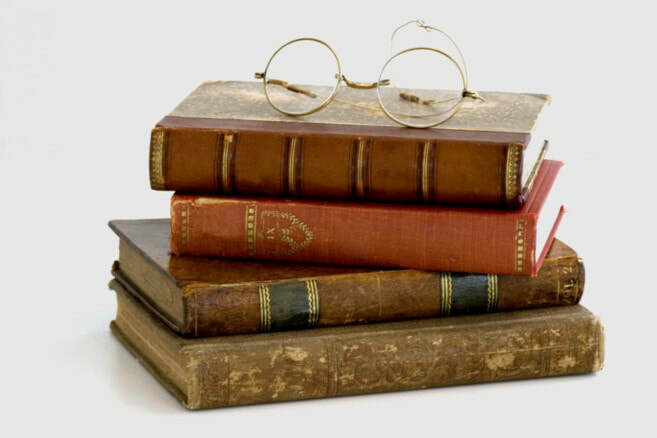 History is the process of finding out about the past and production of books about the past. History is written by historians. History is a written interpretation about the lives of people who lived in the past, their thoughts, words and actions. The past is everything that has ever happened to everyone and anytime before now. By the time you read the end of this sentence, the first words are already in the past. In contrast, history is written in the present about selected bits of the past. Historians write about things in the past that they consider to be important (significance); they try to explain why things happened (causes) and with what results (consequences). Needless to say, most of the past is unknowable because we have no record of it at all. 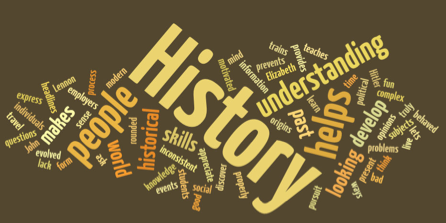 How do historians do history? Historians cannot travel in time. 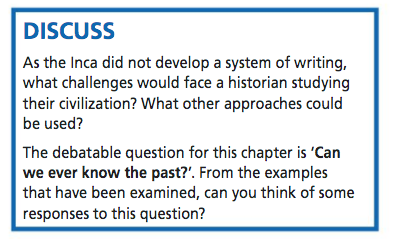 Therefore, historians research and write about the past using evidence that the past has left behind. 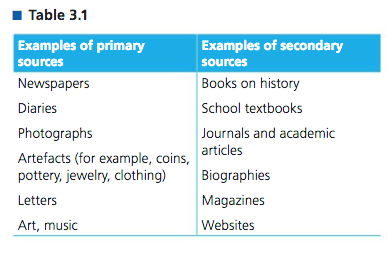 These sources of information are sometimes called primary sources. Historians also use the work of other people who have written about the past. These are called secondary sources and are produced after the time of the events being studied. 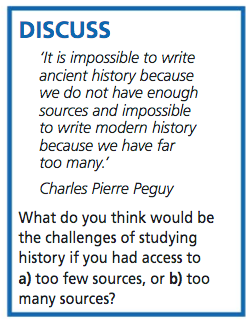 What are the sources of history? There are three general sources of historical information: what is written or drawn (texts), what is said (oral), and what is physically preserved (artefacts). Past societies that left no written record are considered to be prehistoric. If we have no record of what is said or written we rely on artefacts. Archaeology is a subject that is particularly useful in helping to recover and interpret artefacts. Without historians we would not know about the past, we would only have myths and stories about the past. Imagine you woke up tomorrow knowing nothing about your life before that moment, how would you cope? Just as your memory is essential to knowing who you are, so history is essential for knowing who we are. 1. Your day in school today, is unlikely to make it into a history book of the future. Can you think of something that could happen today, that would make your day historical? 2. Why is most of the past unknowable? 3. 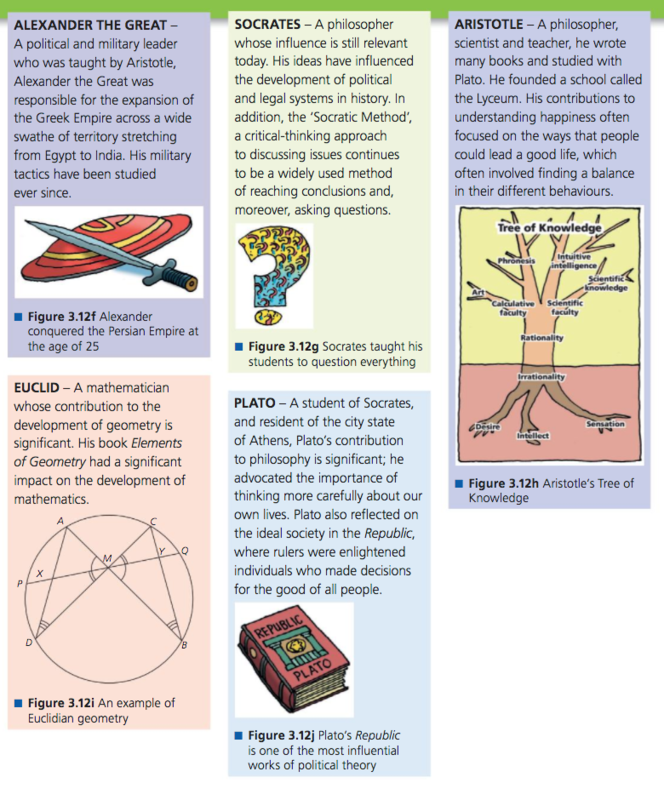 Why do think the content of school history books differs from country to country? What were the achievements of the Sumerian civilisation? 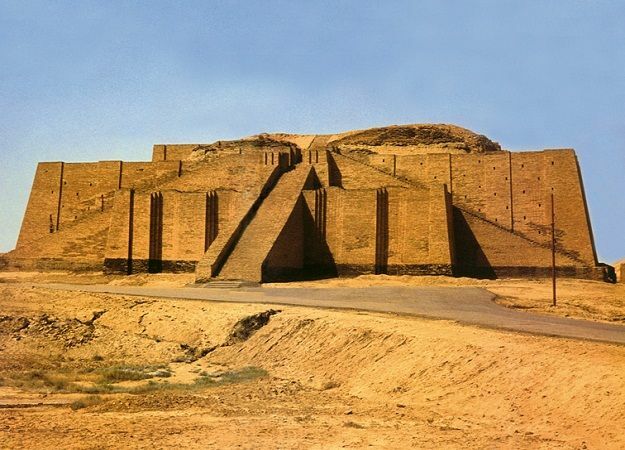 Using your textbook pages 54-55 and the following films and websites, research and design a poster or make a short two-minute film that answers the question 'What were the achievements of Sumerian civilisation? You should cover the two themes from the book: how the civilisation developed and innovations of the Sumerians. As a research assignment, it is important that you also include facts, images and information that you have discovered yourself. 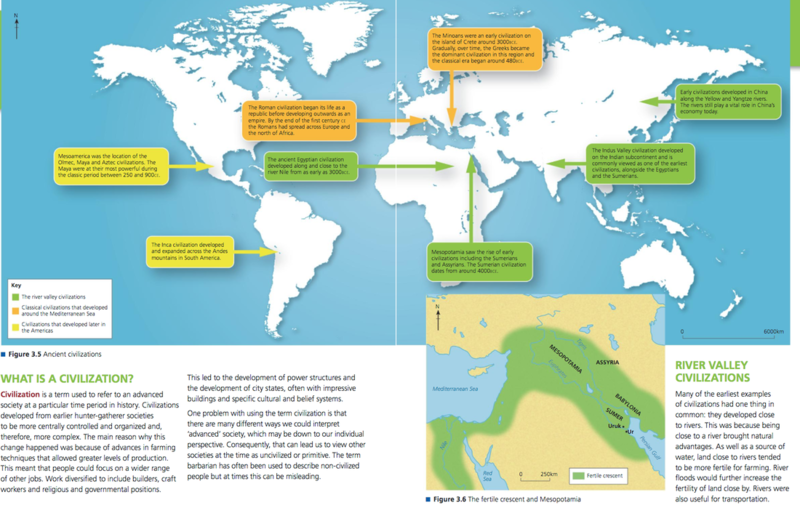 What other civilisations flourished in Mesopotamia? 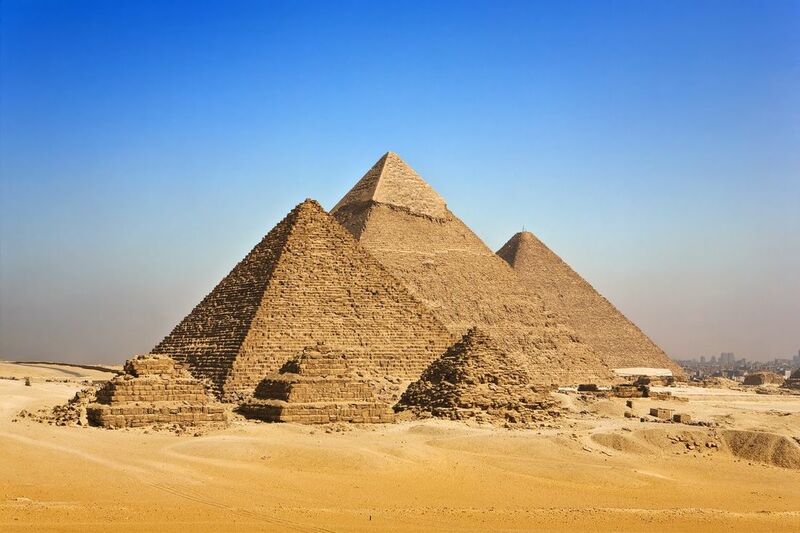 What were the achievements of the Egyptian civilisations? 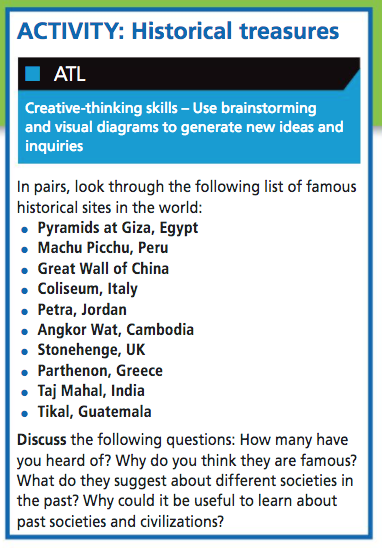 Using your textbook pages 57-59 and the following films and websites, research and design a poster or make a short two-minute film (depending on what you chose to do last time) that answers the question 'What were the achievements of Egyptian civilisations? You should cover the two themes from the book: how the civilisation developed and innovations of the Egyptians. As a research assignment, it is important that you also include facts, images and information that you have discovered yourself. 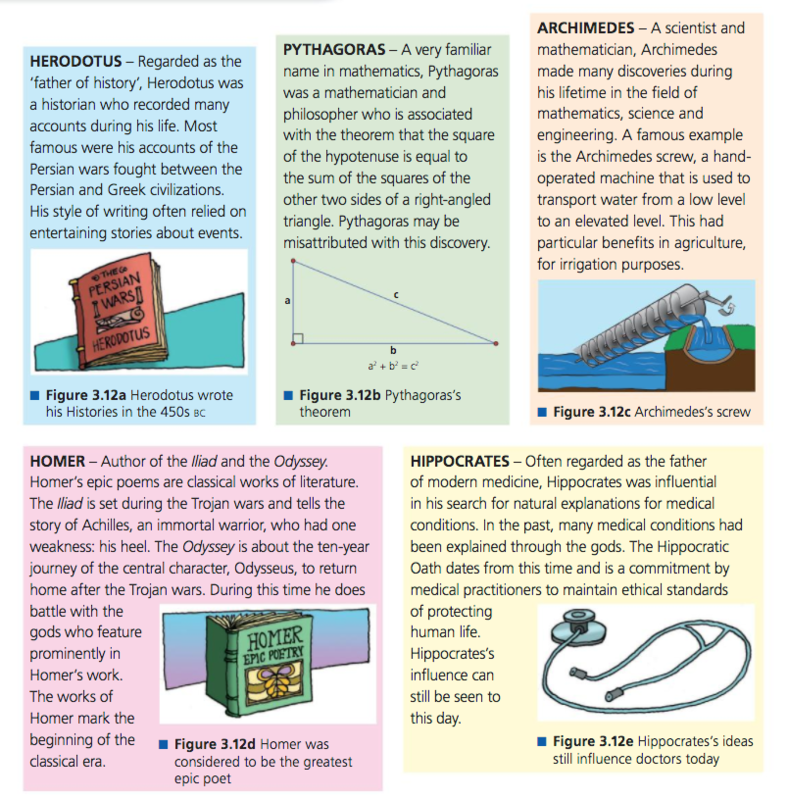 What were the major contributions of Ancient Greek civilisation? The word "democracy" combines the elements demos (which means "people") and kratos (which means "force" or "power"). During the 4th century BC, there may well have been some 250,000–300,000 people in Athens area. Citizen families may have amounted to 100,000 people and out of these some 30,000 will have been the adult male citizens entitled to vote in the assembly. 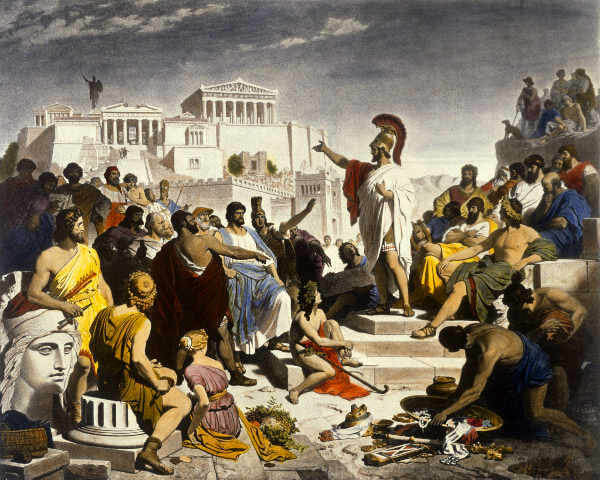 The Assembly: Greek democracy created at Athens was a direct, not a representative democracy: any adult male citizen of age could take part, and it was a duty to do so. Every citizen had the right to attend and speak at the Assembly, which met about every ten days on a hill called the Pnyx. The assembly had to debate any proposals by the Council and then pass or change or reject these proposals by a show of hands. At least 6,000 had to attend a meeting of the assembly to create a quorum where laws could be passed. If not enough citizens turned up, special police were sent out to round up more citizens and make them attend. The police normally rounded up such citizens using ropes which had been dipped in fresh red paint. The citizens were 'roped in'. Citizens had to pay a fine if they were found to have red paint on their cloaks. The standard format was that of speakers making speeches for and against a position followed by a general vote (usually by show of hands) of yes or no. There were no political parties and no government or opposition. In effect, the government was whatever speaker(s) the assembly agreed with on a particular day. Voting was by simple majority. One unusual power given to the Assembly was the power of ostracism. This was a way of getting rid of unpopular or corrupt politicians. On one day in the year, a vote of ostracism could be held in the Assembly. Each citizen was given a fragment of pottery called an ostrakon. On this he could write the name of any politician he wished to see punished. If a politician's name appeared on more than 6000 pottery pieces, that politician was ostracised He had to leave Athens for a period of ten years. The Council (boule): Every year, 500 citizens were chosen by lot to become Councillors. 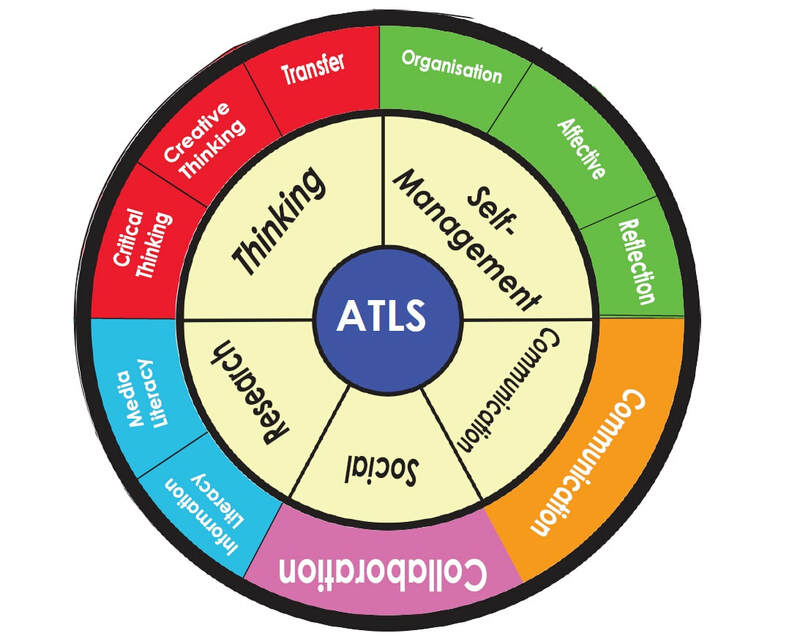 Allotment was random and shared the work of government throughout the whole citizen body, engaging them in the crucial democratic experience of, to use Aristotle's words, "ruling and being ruled in turn". The allotment of an individual was based on citizenship rather than merit or any form of personal popularity which could be bought. Allotment therefore was seen as a means to prevent the corrupt purchase of votes and it gave citizens a unique form of political equality as all had an equal chance of obtaining government office. They had responsibility for the day-to-day running of the state. They also drew up proposals for new laws; though these proposals had to be passed by the Assembly before they could become law. In conclusion, to be an Athenian citizen meant to participate in the day to day running of the state. Those not interested in participating in politics were considered to be idiots. The modern word 'idiot', comes from the ancient Greek word ἰδιώτης (idiōtēs), meaning a private person, a person who is not actively interested in politics. Democracy, citizen, Pnyx, quorum, 'roped-in', ostracise, boule, allotment, idiot. 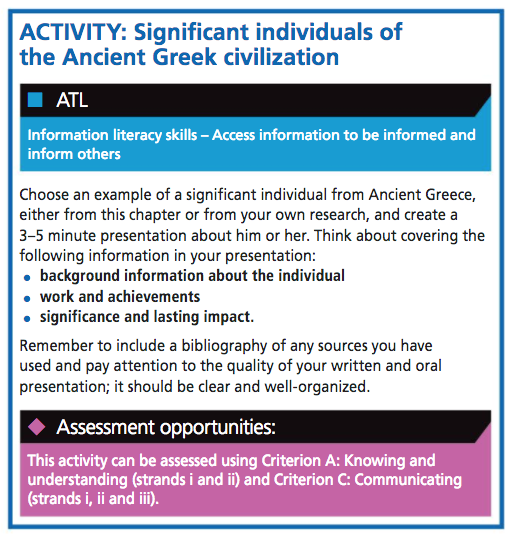 Copy and complete the table opposite, comparing and contrasting Athenian democracy with modern democracy. ​​While Athens was known for its poets and learned people and fine buildings, Sparta was famous for something else. It was a land of warriors. Everything in Sparta was geared to producing a huge army of tough, disciplined soldiers. Every Spartan man had to be a soldier. Sparta was an egalitarian society, where not even kings were allowed to possess wealth or luxuries; as such things might make them weak or selfish. The population of Sparta consisted of three main groups: the Spartans, or Spartiates, who were full citizens; the Helots, or serfs/slaves; and the Perioeci, who were neither slaves nor citizens. The Perioeci, whose name means 'dwellers-around,' worked as craftsmen and traders, and built weapons for the Spartans. School and Army: When a child was born, state officers would come to examine it. If the child was healthy and perfectly formed it "passed" the examination and was allowed to live. If not, the baby would be killed. At the age of seven, boys were taken from their homes and sent to a kind-of state boarding-school, this was the agoge system. They would spend thirteen years learning to be strong and totally disciplined warriors of Sparta. Conditions in such schools were terrible. When a young man reached twenty years, his harsh schooling finally came to an end. But now he had to join the army and go to live in an army barracks, where conditions were almost as hard as they had been at school. 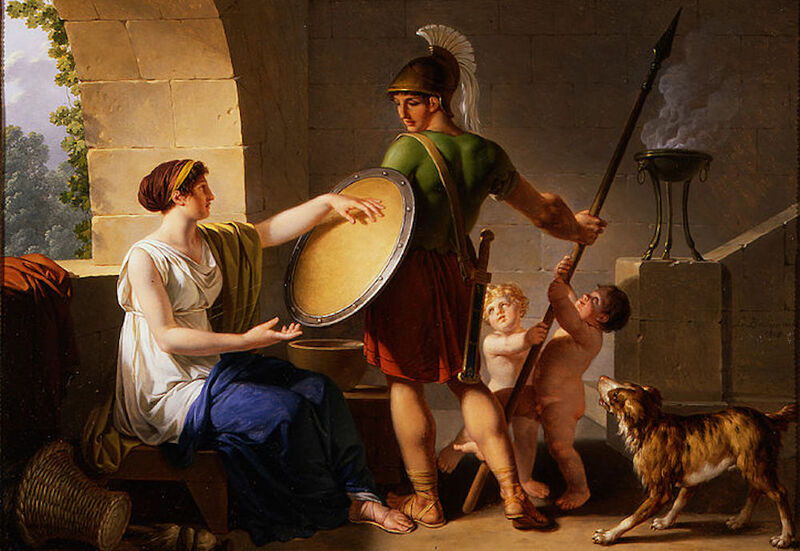 At the age of thirty, a Spartan soldier might marry. But this did not mean he could live with his wife. He still had to live in barracks and had to be content with brief visits to visit his wife and children. Soldiers were given land, which they used to support their families. They did not farm the land themselves. Such work was considered beneath their dignity. All farm work was carried out by 'helots', who were little more than slaves. Only when a man reached the age of sixty could he finally return to live permanently with his family. But few Spartan soldiers reached such an age of "retirement". Most died before then of hardship or of battle wounds. Women: Girls were at least educated in Sparta (not every Greek city-state educated its females). The most important activity in school was physical education, which included running competitions and other athletic activities. Girls were trained to become physically fit, so that they would eventually become the strong mothers of Spartan warriors. Spartan girls knew little of the art of fashion or physical beauty. They were expected, for example, to strip almost naked when they took part in religious dances or processions. This was to ensure that they would not develop the habit of showing off fine clothes. Spartan women were in some ways freer than their husbands at least they could live at home, rather than in an army barracks. They were also freer than some other Greek women in that they could own property. But, like the men they were expected to be tough and completely loyal to the State. A Spartan mother could kill a son who was considered to be a coward. A mother would tell her son, before he went to battle: 'Return with your shield or upon it’. Read the story of the Boy and the Fox, why, in your opinion, did the leaders of the barracks consider the boy to be a good Spartan? ​Was there anything in Spartan culture and society that we still value today? 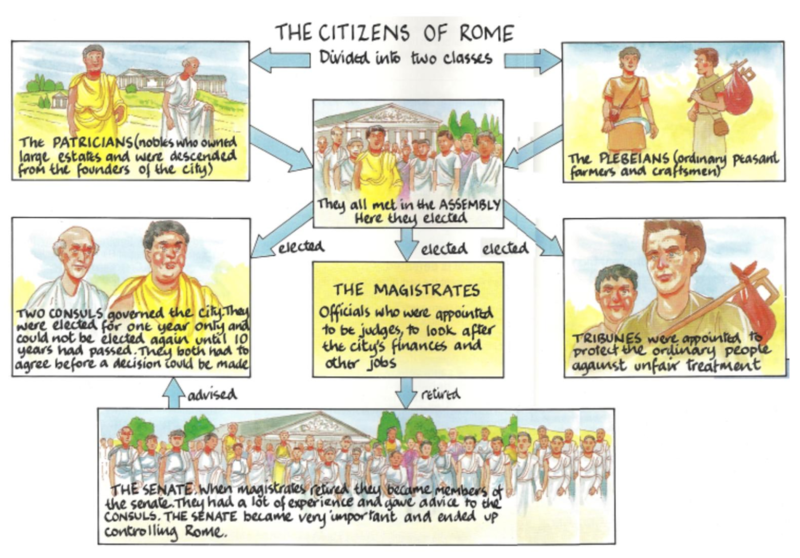 How did Roman Civilisation change over time? In ancient times, many different peoples occupied much of the land we now call Italy. 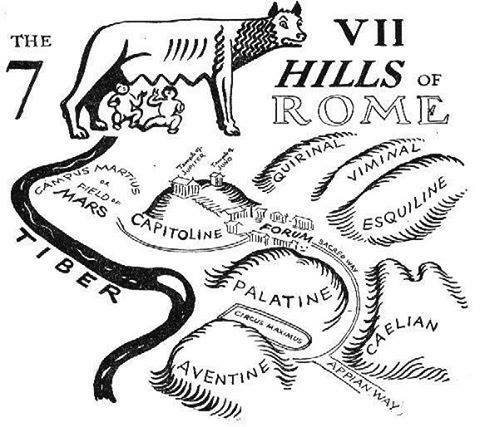 Almost 3000 years ago, a town began to develop on the banks of the river Tiber. This city was Rome and it was to grow gradually in importance until it eventually became the centre of a powerful empire. Ancient Rome was to take over from Greece as the most powerful military and cultural force in Europe. Although the Romans easily conquered the Greeks; they admired and copied many aspects of Greek culture. The Romans, in turn, had a powerful influence on the development of the later culture of Europe. ​The following story was told to Roman children. It explains how the city of Rome was established. ‘Long ago and in a faraway country lived Venus. She was the goddess of love and beauty. She had a son called Aeneas. She was very proud of him. He had fought bravely in defending his city, Troy, against its enemies. But when Troy was captured, Aeneas had to flee for his life. He made a long voyage by land and sea and eventually reached the beautiful plain of Latium in Italy. Here he married the King's daughter and founded a kingdom of his own. Many, many years passed, and the kingdom entered troubled times. Numitor, one of Aeneas' descendants, was now King. His daughter Rhea had just given birth to twin sons called Romulus and Remus. Their father was Mars, the mighty god of war. It should have been a happy time for Numitor. But his wicked brother Amulius wanted his kingdom and drove Numitor out of the country. 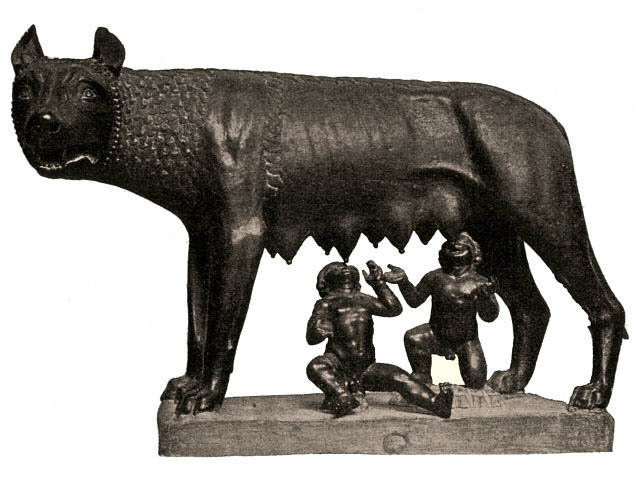 Amulius ordered his soldiers to throw the babies Romulus and Remus into the River Tiber. But the babies didn't drown. They were washed ashore. A she-wolf heard them crying, took them away and cared for them alongside her cubs. Later they were discovered by a shepherd, who carried the boys home and looked after them as if they were his own children. In fact, Rome developed gradually from several different villages, which were built by the Latin people at the side of the river Tiber about twenty five kilometres from the sea. 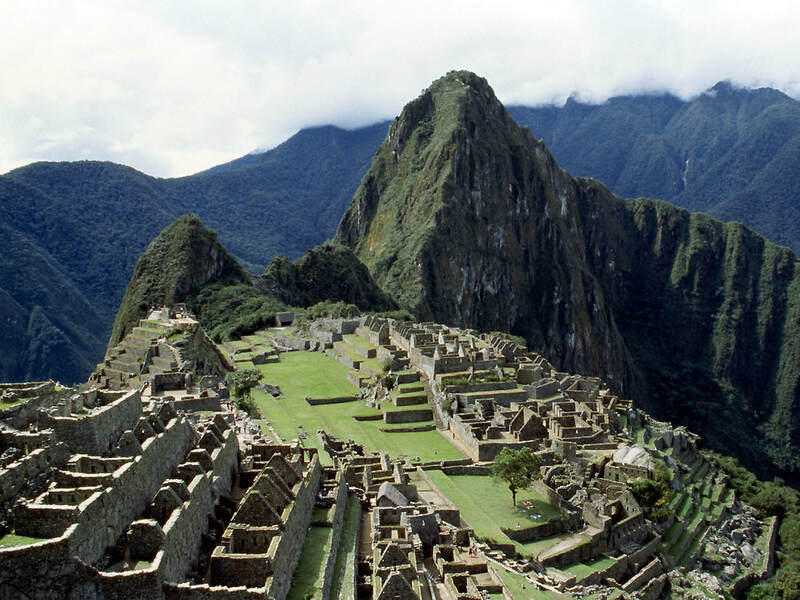 These villages occupied the tops of seven small hills. They were situated near an island on the river, where the river became shallow enough to be crossed by foot and too shallow for ships to pass any further upstream. 1. Find three things in the myth which might be true and three things that are unlikely to be true. 2. Why was the myth of the founding of Rome told to children? What were children expected to learn from it? 3. In reality, why was Rome an ideal site for a settlement? Settlement will be our next topic! The rule of the kings 753-509 B.C. The Roman Republic 509-31 B.C. The Roman Empire 31 B.C – 478 A.D.
For hundreds of years, Rome and the Latins were dominated by a people who lived both to the north and south of them. These people were known as the Etruscans and they were much more powerful than the Latins. For this reason all the kings of Rome were Etruscans. Rome became larger and much stronger under these kings; but many Latins hated having their city ruled by outsiders. The last king was a ruler called Tarquin the Proud. By this time the Etruscans were less powerful than they once had been and finally, in 509 BC, the Latins succeeded in driving Tarquin from their city. The people of Rome disliked Tarquin so much, that they vowed never again to have a king rule their city. They decided therefore to set up a government of the people, which they referred to as a republic. 1. The word republic comes from the Latin res publica which means ‘a matter for the people’. What evidence is there that the republic represented the people of Rome? What evidence is there that it did not? 2. Why do think most of the magistrates and senators were members of the Patrician class? 3. Why might it be considered a positive thing that the Senate ended up controlling Rome? Why might it also be considered a negative thing? The Empire and the 'noblest Roman of them all'. By 50 BC, two Roman army generals had become greater than all others and powerful rivals for power. One of these was Pompey. The other was Julius Caesar. In 52 BC, the Senate asked Pompey to become Consul on his own; a position which would make him extremely powerful. The Senate then demanded that Caesar give up his army, which he refused to do. Pompey then had no alternative but to make war on Caesar; a war which most senators seemed to think that Pompey would win. In 49 BC, however, Caesar marched on Rome and seized power. He then defeated the armies of Pompey and the Senate. Julius Caesar was the undisputed ruler of Rome. When Caesar marched into Rome the people gave him a great welcome. Caesar's many reforms made him very popular and he was soon declared to be leader for life. But not every one was content during Caesar's five-year rule. Many senators disliked him intensely. Others were afraid that he was becoming a tyrant who wanted to destroy the Republican system of government. Early in 44 BC, a group of senators under the leadership of Brutus and Cassius plotted to rid Rome of its unelected ruler. Brutus, Cassius and the other conspirators hoped that by killing Caesar they would save the Roman Republic from dictatorship. On 15 March, 44 BC Caesar was due to speak to the Senate. Despite feeling so ill that morning that he almost could not attend, Caesar entered the Senate house at the time appointed. As was usual, all the senators rose to their feet as a mark of respect for their leader. 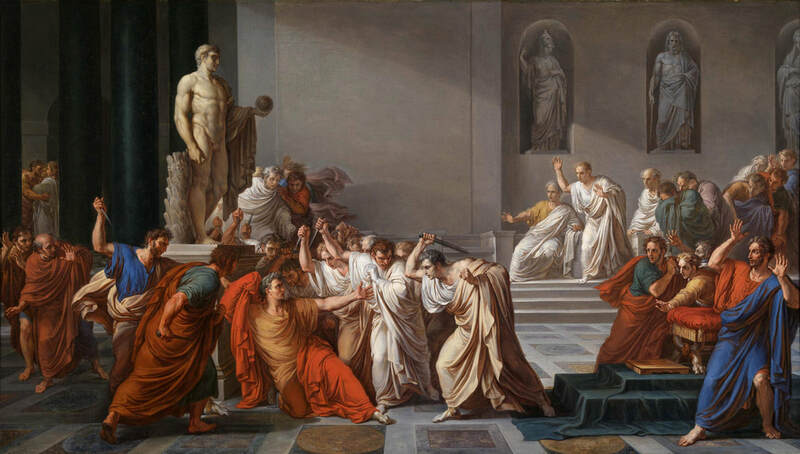 While this was happening, Brutus and some other senators took up positions behind Caesar's chair, while others approached as if to greet him. Suddenly, a senator named Cimbar grabbed Caesar's robe, while Casca stabbed him in the neck. Most senators looked on in shock while the rest of the assassins suddenly produced knives from under their cloaks. The assassins surrounded Caesar. They pushed him this way and that and began to stab him furiously. Brutus, whom Caesar had loved as a son, stabbed him in the groin. The dying Caesar was then pushed against the statue of his old rival, Pompey, which was soon covered in blood. Caesar had received a total of twenty-three stab wounds. Carefully watch the films and read Plutarch's text. 1. Why might Source A, Shakespeare's account, not be historically reliable? 2. Are there any historical facts in Shakespeare's account? Give examples. Why do you think they are facts? 3. Plutarch in Source B was written quite soon after the killing of Julius Caesar. Does this mean it must be reliable? 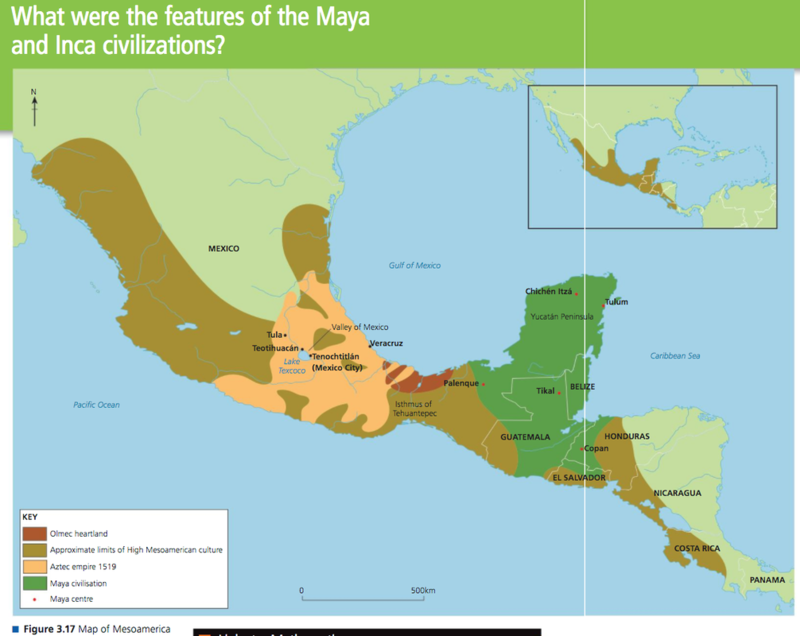 What were the features of the Maya and Inca civilisations? 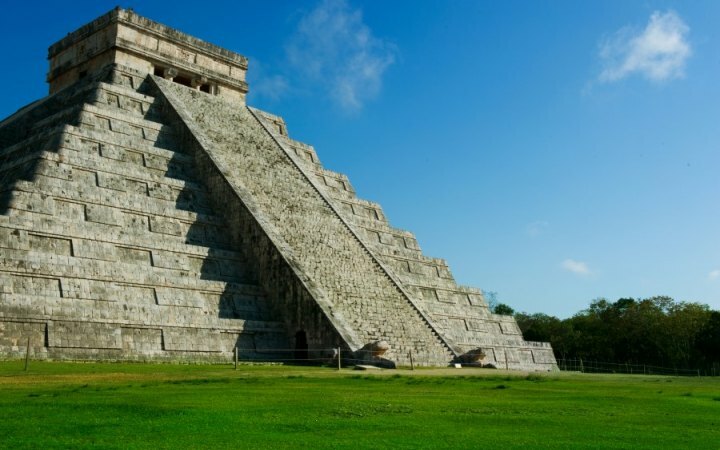 Using your textbook p. 71, identify similarities and differences between Mayan civilisation and the other civilisations we have studied. 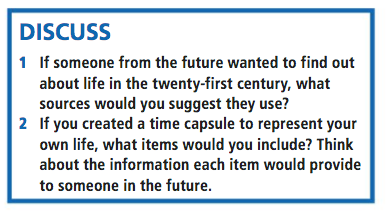 Discuss - Can we ever know the past? Consider this famous painting of the death of Julius Caesar by Vincenzo Camuccini. He was an Italian painter who produced this work between 1804 and 1805. Is it an accurate representation of what actually happened? How does the origin and purpose of the painting contribute to your understanding of its reliability? What else helps you decide whether the painting is accurate or not?